Now that you’ve gotten to know a little but about us, it’s time to spring into action and start thinking about your wedding list must have’s! Have you considered having a photobooth for your wedding? Let me tell you 5 reasons why having a photobooth can add that extra WOWfactor to your special day! Come in the picture everyone! 1. Gone are the days of squishing into a tiny booth to take pictures, our white modern sleek OPEN-AIR photobooth will allow more guests to come together and take a picture. We’ve had anywhere from 10-20 people in 1 shot, but let us know if you want to try and break that record :) . Having a booth option to compliment your hired photography service will allow you to have fun and entertaining memories of your guests. If you have a large wedding guest list talk to us about selecting the appropriate rental hours so everyone at your party can have the opportunity take unlimited photos during your rental period. 2. Have you been crunching your numbers to validate the idea of having a photobooth at your wedding reception? Perhaps scratching favours off your list and replacing it with a photobooth could be the differentiator to the typical receptions. It will add a splash of uniqueness and creativity to your special day. Having a photobooth can be a form of keepstake for your guests to remember and cherish for a lifetime. Not only will they want to keep an awesome picture of themselves but you get to remind them where that awesome pic was taken (At YOUR kick *** wedding). Your name and / or initials, date and selected theme colour will be incorporated on all the prints your guests take home. 3. If you’re looking to add some laughter and fun to your line up of evening events, give your guests a break from the dance floor and your open bar lol and have them create some fun memories in our photobooth. After all, they did sit through all 100 speeches; reward them by adding an element of fun to their night. Make no mistake this night is ALL about YOU BRIDE/GROOM but after all ain’t no party without happy awesome guests! So choose a photobooth and entertain them! 4. Our creative team will ensure your photobooth not only looks fabulous but will tie in with your theme by styling and executing the right look and feel that compliments your special day. We have a wide variety of backdrop colours and props that you can choose from. 5. In the digital world we live in, having the option of seeing all your images from your special day right away is important for us as much as it is for you. Let our photo prints provide you with that instant gratification! In addition all your digital images will be sent to you within 24 hours after your wedding, the momentum will still be high and everyone will have proof of how much fun your wedding was. Have we convinced you enough? 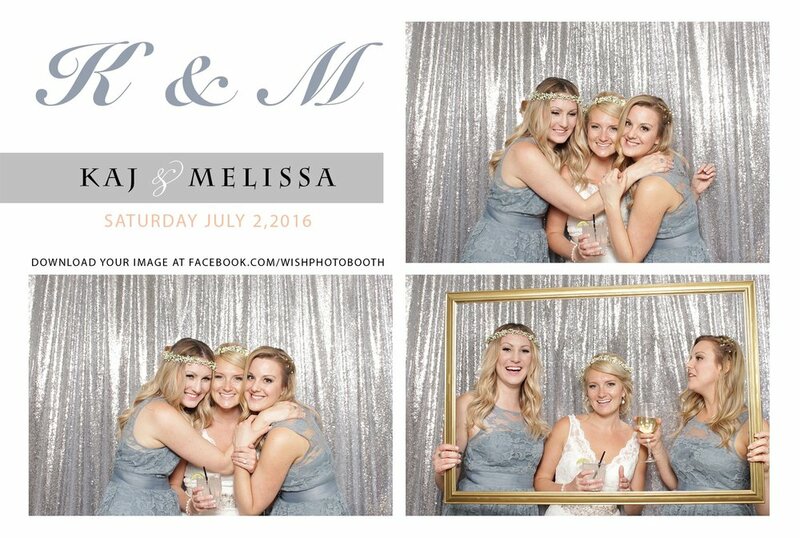 Contact us to book or discuss your Photo Booth rental with Wish Photobooth!